Last month, we shared with you the news that WhatsApp was working on group invite links, as evidenced by many translation strings that were sent to active users who participate in localizing the app for different languages. The feature seemed to allow users (probably moderators) to create a link to join a group and then share it via other apps, print it as a QR code, or write it to an NFC tag. 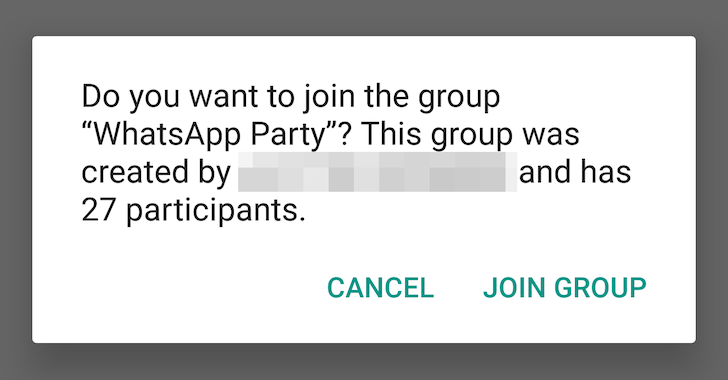 That would thus open up WhatsApp groups to a more public audience, not requiring the moderator to have the invitee's phone number to add them to the group.